Starry Station WiFi Router Reviews - Is it a Scam or Legit? The Starry Station Router promises to provide a unique mixture of sleek design, touchscreen functionality, iOS and Android app connectivity, and ease of use. With its one-of-a-kind touchscreen, the Starry Router—or “ambient WiFi station,” as the manufacturer calls it—promises to help you control and understand your WiFi like never before. How so? According to the manufacturer, each Starry Station can be set up in a matter of minutes, and its ability to “optimize performance based on your location” means you’ll always have enough speed for gaming, streaming, and surfing. We’re told Starry’s dual-band network and separate 5GHz network provide whole-house coverage, while the built-in touchscreen allows you to quickly see what devices are online, manage your kid’s screen time, fix any issues that arise, and much more. On top of this, Starry’s app promises to provide access to even more features like guest networks and remote health checks. Once you've spent the money and have a Starry Router set up in your home, though, can you expect it to deliver “perfect WiFi”? Will it actually “fix your WiFi problems for good”? We didn’t test a Starry Station Router firsthand, but we did perform some in-depth research, which we’ll discuss here—all aimed at helping you become a more empowered consumer. 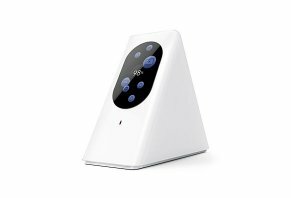 How Do Routers like Starry Work? You're almost certainly not here for a lesson in modern electronics, but a basic understanding of how routers such as Starry work can go a long way for our discussion. At its most basic, a router works to connect one or more networks to the Internet, where information can be exchanged (downloaded and uploaded). Routers also help direct (or "route") information to different networks, depending on the recipient, which helps ensure optimal bandwidth usage while making sure the information reaches its intended destination. Routers can be something as minimal as enabling internet connection sharing between two Windows computers, or as large as standalone supercomputers that handle millions of pieces of data every second. For most of us, though, our home router constitutes a medium-sized box that sits on our desk, or in some dark corner of our home. We might pass by and notice that its lights are blinking, which must mean everything’s doing what it’s supposed to, right? The reality is that, despite their relatively straightforward functionality, most of us have no idea how to really harness the power of our router or to correct the situation when something goes wrong. And it's here where Starry promises to help. On the inside, we’re told that Starry’s 802.11a/b/g/n/ac network standard and dual-band 2.4GHz / 5.0GHz frequencies can deliver speeds of up to 1750Mb/s, while providing WPA2 encryption for protected access. On the outside, you’ll find one Ethernet WAN port and one Ethernet LAN port, a 3.8" LCD touchscreen, and a built-in speaker and microphone. According to the company, Starry Station works with any internet service (whether cable, DSL, or fiber optic) or ISP. Take your Ethernet cable and plug one end into the modem and the other end to your Starry Station’s WAN port. Place Starry in an elevated area where you can see it (i.e. not on the floor or in a closet). The company recommends a table, bookcase, or desk. Plug Starry’s power cord into an outlet and follow the instructions on the touchscreen’s display. The Starry Router is designed to seamlessly download and install updates, such as new features, stability improvements, and performance enhancements. To accomplish this, it only needs to remain connected to the Internet. In Ambient Mode, each connected device is represented on the touchscreen by a blue (healthy) or a red (there’s an issue) orb. The larger an orb is, the more data it's using. This allows you to check important information at a glance, such as your Health Score (anything above 65 is considered good) or other issues. By pressing on the touchscreen, you’ll enter Interactive Mode, where Starry will provide a breakdown of your Health Score and Internet speed (ping, upload, and download). And if Starry detects that a device could be performing better, it might suggest moving it over to the 5GHz network. Here, you’ll also be able to access your WiFi username and password (which can be automatically created by Starry’s Name Generator!) or click the gear icon at the bottom of the screen to set the ScreenTime settings. ScreenTime parental controls allow you to easily manage network-wide rules for when certain devices can and can’t be online, while also enabling you to block explicit content or filter certain sites from being seen on your kids’ devices. You can also use Starry’s pre-programmed starter rules, such as Bedtime or Help Kids Focus, or create your own. Starry’s speed check capability automatically (or manually, if you choose) lets you know if you’re “getting the performance you paid for” in real time. Lastly, if you’re experiencing issues with your WiFi at some point, you can choose how you’d like to get help, whether by email, sending a message through Starry’s app, or by requesting a call from a live representative—all from the touchscreen. Available for iOS and Android devices, Starry’s app promises to give you access to exclusive features and advanced settings. This includes many of the same touchscreen-based features, like ScreenTime, WiFi information sharing, and health checks. But you’ll also be able to access extended data views, manage guest networks, perform port forwarding, access in-app support messaging, and more. Another useful feature is that your Starry Router will send you immediate notifications if your Internet goes down, for example. What’s Up With Starry Internet? While it’s currently in beta testing, Starry Internet promises to use modular, efficient technology to deliver a simple, elegant solution for “incredible” Internet speeds—but through the air, instead of using wires. On top of this, we’re told Starry’s Internet service will feature affordable plans with no data caps. To accomplish this, Starry’s proprietary system uses mmWave active phased array technology that’s claimed to provide up to one-gigabit maximum speeds. We’re told you simply need to place their Starry Beam unit on your rooftop to beam the Internet signal, while Starry Point window units receive and redirect the signal and transmit it to your devices. Like their Starry Station, the company claims Starry Internet can be set up in minutes, without any complicated wiring or hardware to deal with. We’ll keep an eye on the situation and will update this review as soon as more information is available. How Much Does the Starry Station WiFi Router Cost? If purchased directly from the manufacturer, the Starry Router will cost you $299.95. It’s also available on Amazon, Best Buy, and B&H Audio Video for a similar price. All Starry Stations come with a 1-year warranty against defects in materials and workmanship under normal consumer use. Starry’s customer support can be reached at 718-867-5309 or via an online contact form. Comparatively, a middle-of-the-road traditional router matching many of Starry’s specs—including the touchscreen and app access—will cost you somewhere between $100 and $160. Given this significant price gap, are Starry's customers finding the extra money provides added value? Between Amazon, Best Buy, and B&H Photo Video, the Starry Station Router had well over 200 customer reviews at the time of our research, with 3.8-, 4.8-, and 5-star ratings, respectively. Among these, common compliments related to ease of setup and use (no technical know-how required)—including the app; attractive design, high-quality components, the amount of information it provides, and improved WiFi signal. Conversely, more than one customer felt that Starry comes with a high price (or, at least, a meager cost-to-value ratio) compared to some of the competition, doesn't offer any web interface, and doesn’t meaningfully boost your signal strength or range. On a professional note, Starry Station has been reviewed by some big names in the tech world, including CNET, PCMag, TechRadar, and more, most of which gave the device somewhere between a 3.5 and 4-star rating. As with customer reviews, most seemed to appreciate Starry’s simple setup and ease of use, the fast/stable signal it provided, and its attractive design (including the touchscreen display). When it came down to it, though, many wondered whether or not its attractive design and unique touchscreen made the high price and limited feature set worthwhile. For example, in their video review, CNET noted that Starry has a range of about 100 feet, which is roughly equivalent to many other routers. And while they thought the touchscreen was attractive, they felt it was odd that you can only make changes in the app (more next). Similarly, they thought Starry’s microphone and speaker were cool, but were quick to point out that they currently don’t do anything (they may allow voice commands in the future). Another potential future feature is support for home automation standards like ZigBee. Other concerns were its limited number of ports and management options. From an app perspective, Starry had a 4.5-star rating on iTunes and a similar rating of 4.8 stars on Google Play. There, most users seemed to appreciate the intuitiveness and ease of use, along with their improved speed/range. From a company perspective, the Starry Router is manufactured by Starry, Inc., a company founded in 2016 and based out of Boston, MA. They weren’t listed with the Better Business Bureau at the time of our research. We already briefly discussed it in the Pricing section, but you can find popular router models with touchscreen functionality and/or app connectivity from third-party retailers that fall within the $100 to $160 price range. As a few examples, some of the more popular models (as of 11/9/16) seem to be the Securifi Almond ($70), the TP-Link AC1900 ($155), and the Amped Wireless TAP-R2 ($155). Obviously, all of these options come from third-party manufacturers, so they might not feature the same eye-catching design or focus on ease of use as Starry Station. Ultimately, this means you’ll have to decide which features are important to you and at what price point. For instance, if you’re looking to get the most parental controls for your money, then something like the Torch Router might deliver the most bang for your buck. On the other hand, if you’re focused more on maximizing your Internet coverage, non-router mesh networks like Luma, eero, or Amplifi might provide more value for the money. Starry Station Router: Are You Looking For Simplicity or Power? Which brings us to our bottom line about the Starry Station Router: Like nearly every other piece of tech out there, it’s all about your needs. Are you on the hunt for a router that looks great on your desk, provides a novel (and seemingly easy) method of interaction, delivers accessibility when you’re on-the-go, and offers intuitive parental control and guest access? If all of these factors are at the top of your list, then you probably can’t go wrong with Starry Station—as long as you can rationalize the high price. However, based on what we learned from authoritative sites that reviewed the router firsthand, Starry’s “bright spot” isn’t its customizability, which could be a big speed bump if you’re tech-savvy and want to make it really sing. What did you think of the Starry Router? Did it meet your needs? Do you feel it was a solid value? Tell us all about your experience by writing a review below! Write a Review for Starry Station WiFi Router!